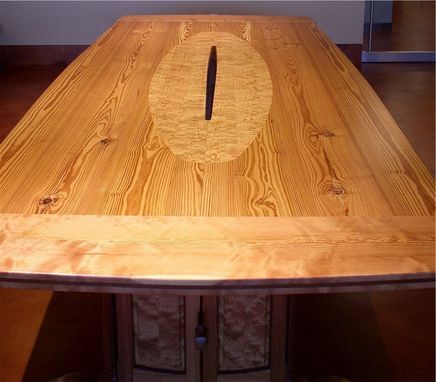 This conference table is made entirely of solid, reclaimed longleaf heart pine with an oval inlay in the top and raised panels in the pedestals of reclaimed curly pine. 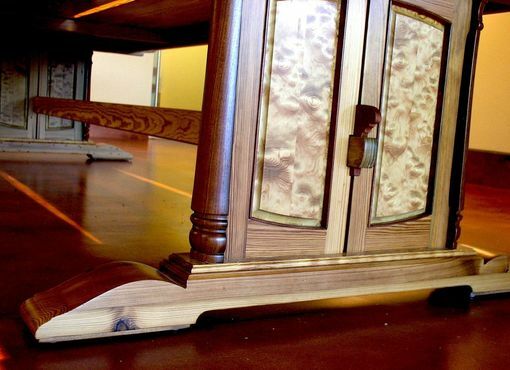 The top breaks apart into four pieces to make for easier moving and installation. 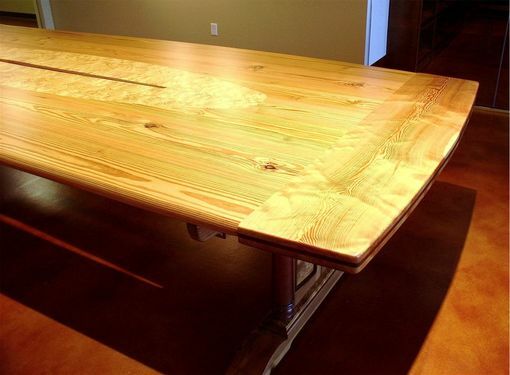 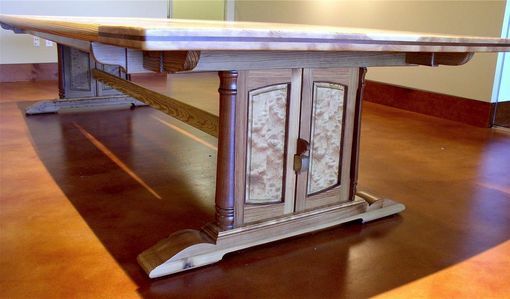 The table's base is put together with interlocking and wedged joints that allow it to be assembled and disassembled in minutes though it is absolutely rigid once together. 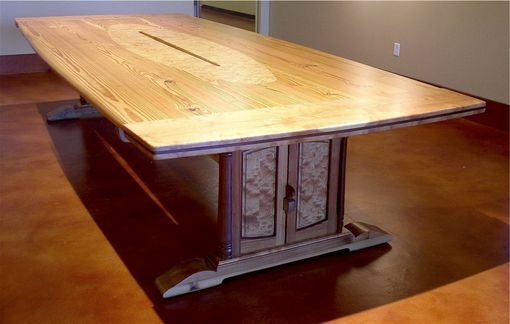 A slot down the middle of the top accommodates computer and media cables.